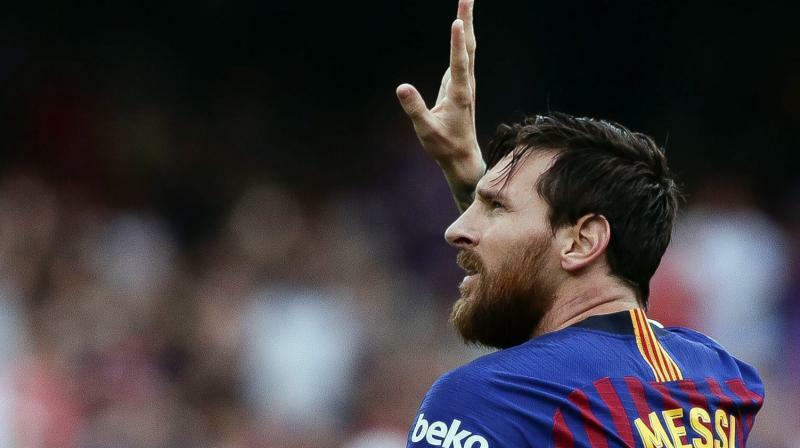 Those wins have helped them capture seven of the last 10 league titles, a figure that will surely become eight from 11 next month, given their nine-point lead at the top of the table.There could be an historic fifth consecutive Copa del Rey too if Ernesto Valverde's side beat Valencia on May 25. "Obviously it's infuriating," Luis Suarez said. "Madrid have made history and it's a thorn in our side. The game's most illustrious pair could yet meet in this year's final, should Barca capitalise on their 1-0 first-leg win over United and then overcome either Liverpool or Porto in the semis.Ronaldo and Juventus, meanwhile, would have to beat Ajax, and then either Manchester City or Tottenham. Messi is not one to complain, particularly given he cannot be blameless in Barca's underachievements in Europe. But the fans are frustrated, with last season's double doing little to ease the disappointment of the collapse against Roma. And his teammates feel it too, the weight of history on their shoulders from a need to square arguably the game's greatest ever player with a Champions League haul that befits that status.